Southwest Virginia’s natural beauty and abundance of outdoor activities make it a prime destination for anyone seeking a break from the stresses of daily life. Fall is one of the best time to visit, with the autumn colors on full display. Here are 10 of the most scenic places to take advantage of the incredible outdoor opportunities and enjoy the show. Well known for its wild ponies, alpine meadows, and high peaks, Grayson Highlands is Virginia’s crown jewel. Although a very popular destination for backpackers seeking breathtaking views, Grayson is also one of Virginia’s best bouldering destinations. 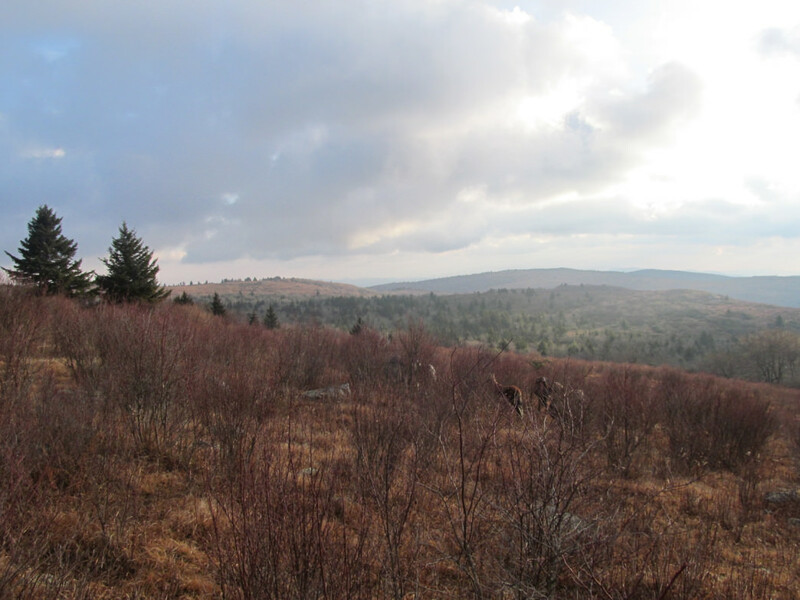 In addition, Grayson Highlands provides access to Virginia’s highest peaks through the Mount Rogers Recreational Area. 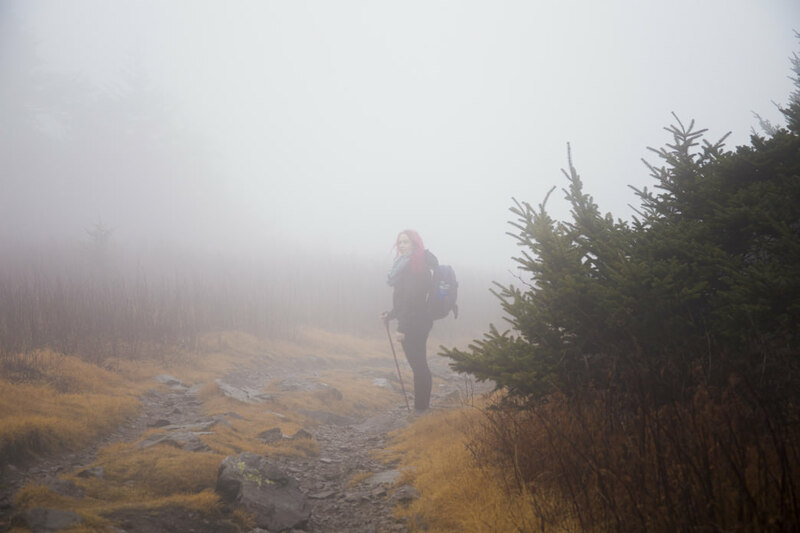 Whether you want to horseback ride, hike, camp, backpack, or climb, Grayson highlands is one of the most incredible destinations in Virginia. This former railroad bed goes through the Appalachian Trail town of Damascus creating one of the best bike trails in the country. 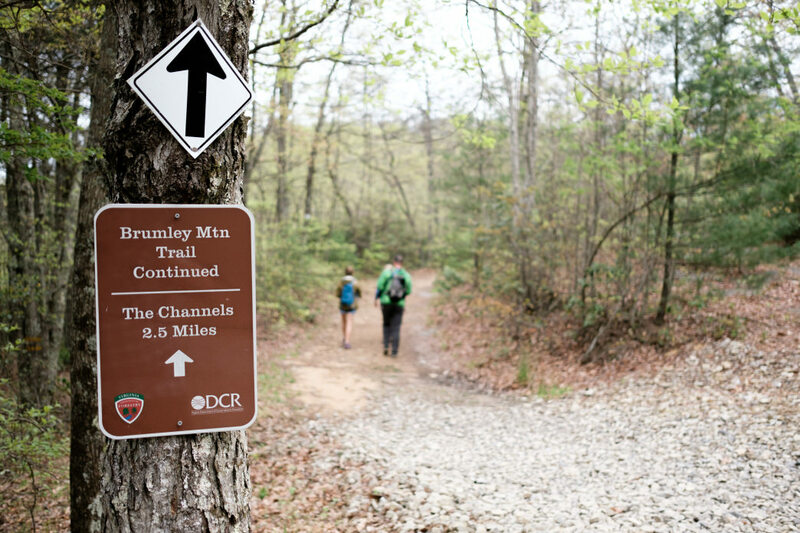 Numerous outfitters with rental and shuttle services make riding the Creeper trail a breeze. Along the trail you will enjoy peaceful creek crossings on rustic bridges with nearly unlimited spots to pull over and capture stunning photographs. 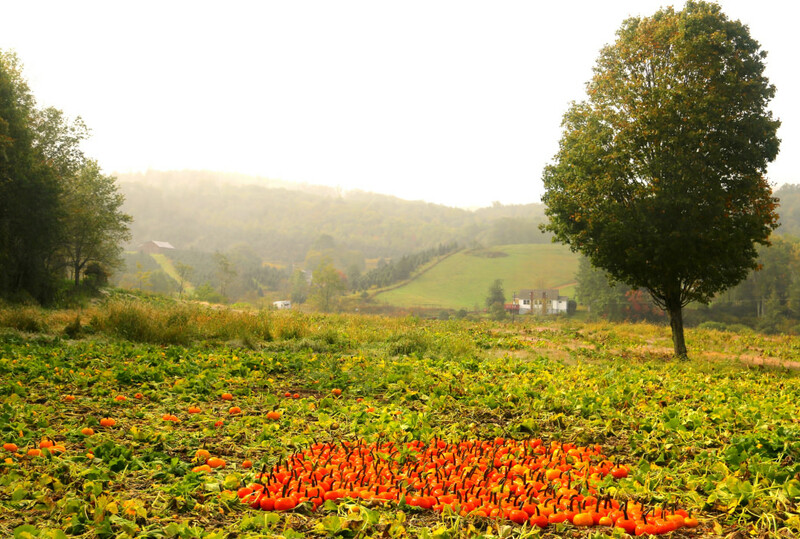 For the best experience this fall, shuttle up to Whitetop Station and ride to the town of Damascus—you’ll find the entire trip is downhill. While visiting the Creeper Trail be sure and stop by the Wolf Hills Brewing Company in Abingdon and enjoy local music and craft beer. The Mountain View Trail System in St. Paul, Virginia, is well known to off-road enthusiasts hosting roughly 100 miles of pristine trails. St. Paul is an ATV-friendly town, allowing off-road vehicles legal road access to local shopping, lodging, and dining. After a long day riding the trails, there is no better place to refuel and relax than the Sugar Hill Brewing Company where local eats and craft brews are sure to fulfill you after a long day of heart pounding action. Breaks Interstate Park is situated on the border of Kentucky and Virginia along the western-most continuous ridge of the Appalachians. Recognized as the deepest gorge east of the Mississippi, the park and surrounding areas are an incredible place to visit for all types of adventure including mountain biking, hiking, horseback riding, birding, rafting, and more recently rock climbing. Its incredible beauty offers a perfect island of wilderness to escape to. Be sure when you visit Breaks this fall to arrange a tour to see Virginia’s newly restored Elk herd located just 25 minutes outside the park on a local nature preserve. Recognized as the eastern form of the famous Utah slot canyons, the Channels are one of Virginia’s most biologically diverse and fascinating areas. The 6.6-mile, moderate out-and-back trail offer a one of a kind way to experience one of Virginia’s most unique features. Located 15 miles north of Abingdon, Virginia, the Channels State Forest doesn’t offer camping, but you can spend a day exploring the trails and head back to Abingdon to spend the night. This winding route—known for its zigzagging turns and unparalleled vistas—attracts sports-car drivers and motorcyclists from all over the country. The route stretches 32 miles from Marion to Tazewell, Virginia, with more than 300 curves and three mountain crossings along the way. Once you reach Tazewell, be sure to stop for lunch at Seven, a local eatery serving American-style food with a great community atmosphere before hitting the road. During the fall season, whitewater enthusiasts flock to the Russell Fork to experience some of the most intense whitewater on the east coast. In the month of October, water is released from a nearby dam making the experience even more exciting. October also happens to be the most beautiful time to raft the Russell fork, showcasing Virginia’s brilliant fall colors and cooling temperatures. During the October releases, the Russell Fork should only be run by experienced paddlers or with the accompaniment of a professional guide. For those audacious backpackers looking for a more remote adventure this fall, the Pine Mountain Scenic Trail is a must do. Backpackers can conquer more than 40 miles of wilderness with incredible views the entire way. In order to complete this trek, you will need to set up a shuttle between Breaks Interstate Park and US 119. Eventually, this section of trail will traverse the entire 150-mile stretch of Pine Mountain and someday be a part of the Great Eastern Trail, an initiative to create a more remote sister to the Appalachian Trail. Although known as Virginia’s forgotten river, the Clinch River will give you memories that last a lifetime. The Clinch, the most bio-diverse river in North America, offers a multitude of opportunity for exploration, snorkeling, fishing, and relaxation. Floating the Clinch gives visitors a taste of the beauty of Southwest Virginia and all of its incredible natural resources. Kayak, canoe, and tube rentals—plus shuttle service—are available at Clinch River Adventures, located in the town of St. Paul. Known recently as one of Virginia’s top adventure towns, Norton provides easy access to unlimited outdoor activities in surrounding areas such as hiking, climbing, mountain biking, camping, and various water sports. In addition to Norton putting itself at the top of the list for many rock climbers, the flag rock area trails (FRAT) are becoming a top-class mountain bike destination.